This pocket book will help you discover Geoff Kersey's top tips that will help take the mystery out of watercolour painting! Learn all you need to know, from what to buy, composing a painting and mastering techniques such as wet into wet and dry brush work, to how to paint skies, water, trees, buildings and more. The tips are clearly explained and illustrated through artwork and step-by-step photographs. All these hints & tips are packed into one slim, notebook sized book that will fit perfectly into your kit bag, so it can be easil transported if you're painting on the go. 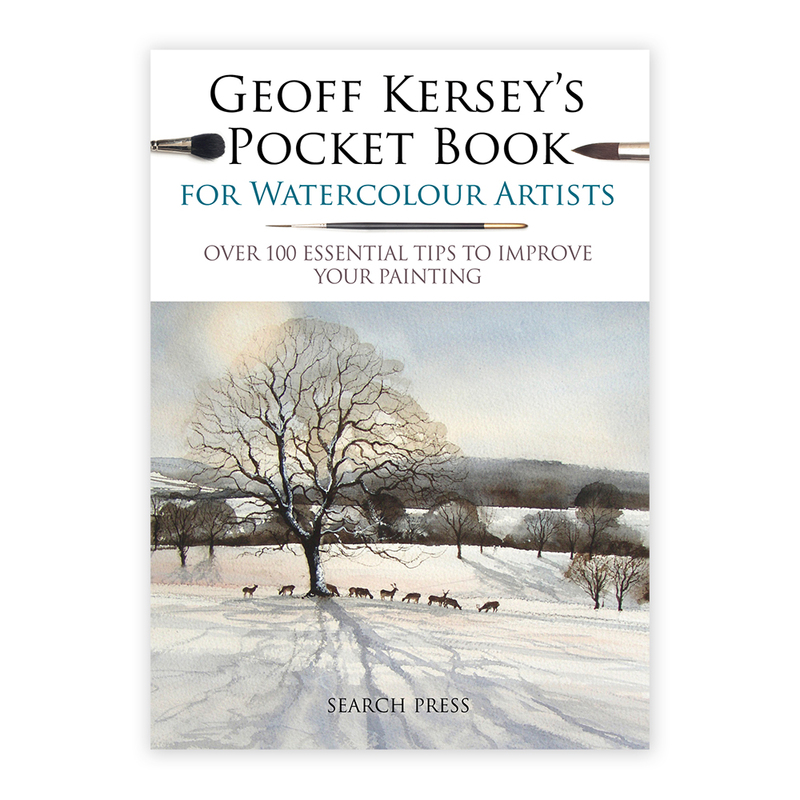 Previously published as 'Geoff's Top Tips for Watercolour Artists'. Geoff Kersey is an experienced watercolourist and is much in demand as a teacher and demonstrator. He lives and works in Derbyshire, where he has a studio, and he exhibits extensively. He has made many watercolour DVDs, contributes to various art publications and has written many bestselling watercolour books.